Currently Only Official Based 1.5 Lead Server | Quest + Clanwar | Latest Maiet Items | 30+Maps | 24/7 Online & No Lag | JOIN US NOW! Quest + Clanwar | 1200+ Items | 50+ Maps | 24/7 Online & No Lag | Simply, The Best! World of Dread is a free UO server which has been running since 2002. Try it! MocroGunz V10 with a boost of 75x exp, Skillmap Teleport , Npc Raid and a Max level of a 125! And much more join now! UPDATING IT 10/06/2017 !!!! 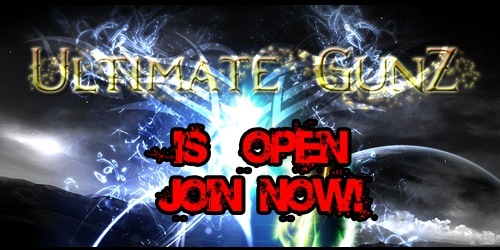 Ultimate GunZ is one of the oldest and strongest private servers ever made. https://www.facebook.com/gunzultimate MORE INFO ON OUR PAGE!!! Daemons Ring GunZ Rebirth - From Ashes to Glory! 3 Dedicated Servers | Quest Server and Clan War Server 24/7 Online | Server 30x Exp | Every Prems are Free | No Lag | Great STAFF. Play free flash games at good-online-games.com! System Gunz BR � Let's Rock !